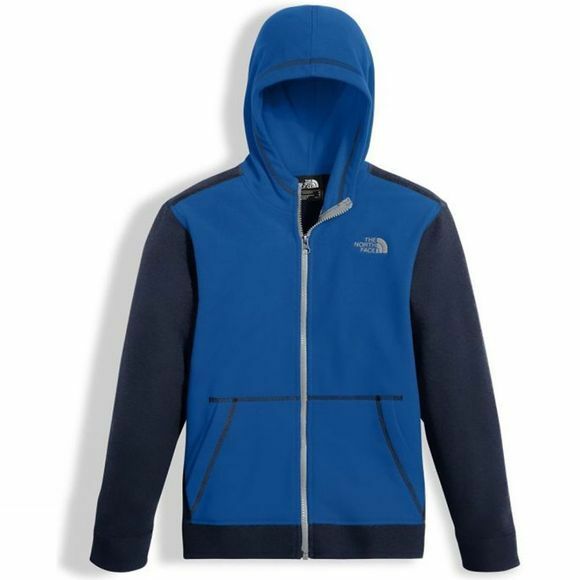 With a Polartec fleece for thermal efficiency, The North Face Glacier Full Zip Hoodie for boys makes a great layer for cool weather adventures. Ideal insulation without bulk, keeping youngsters wrapped up in soft comfort when the temperatures drop. The fabric is pill-resistant and super-durable too, ensuring extensive, everyday use. A full-length zip runs up to the fixed hood that can be thrown back or pulled forward as required. Stylish side pockets add room for warming up chilly fingers or stashing a few essentials. When he needs a versatile throw-on layer pack The North Face Glacier Full Zip Hoodie.